The Mermaid Life: MUA LIPSTICK SWATCHES - SHADE 7, SHADE 15, SHADE 16, SHADE 4, SHADE 3 AND SHADE 5. 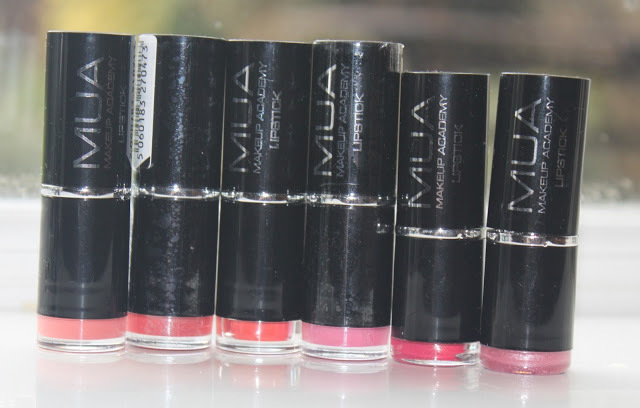 MUA LIPSTICK SWATCHES - SHADE 7, SHADE 15, SHADE 16, SHADE 4, SHADE 3 AND SHADE 5. In order we have shade 7, shade 15, shade 16, shade 4, shade 3 and shade 5. I've done all these swatches outside, so the pictures may not be as clear as they'd be with flash. I wanted to show these swatches nearest to their colours as I possibly could. These are the first ever MUA lipsticks I had ever tried, and at £1 a pop you can't complain. I usually swear by Mac lipsticks, so I was curious to how these turned out. The wear on all of them is nothing special, but does the job perfectly. These are just as good as many other high street products out there, so check MUA out before purchasing anything you're not too sure on! As I said in my previous MUA post, it's a shame these aren't named. That would give the colours more personality! Anyway we have Shade 3, a gorgeous dark yet bright pink. doesn't come off as bright as it looks in the tube. like it's shown on the website. get when you're a kid. which actually looks quite nice. But I still can't fathom out this product, it looks so bright in the bullet. it just looks more glossy than shimmery. I love coral lipsticks so naturally I was going to love this too. It's slightly darker and slightly more pinker than you'd find coral to be like. but I still will give it a wear in the summer. This isn't a shade I'd usually pick out. I got this from the lovely Rosa in a blog swap I did which can you see here. That aside it is my favourite MUA lipstick I have. It has a lovely pink look to it with a handful of pearly shimmer. I do love this though and it looks gorgeous. The perfect amount of shimmer for me. The wear on this one isn't as long as the others, and will need a few top ups during the day. This is a perfect matte with slight gloss lipstick. This colour is amazing and is so opaque. It's so creamy too, but like the previous one I feel it's a little drying. 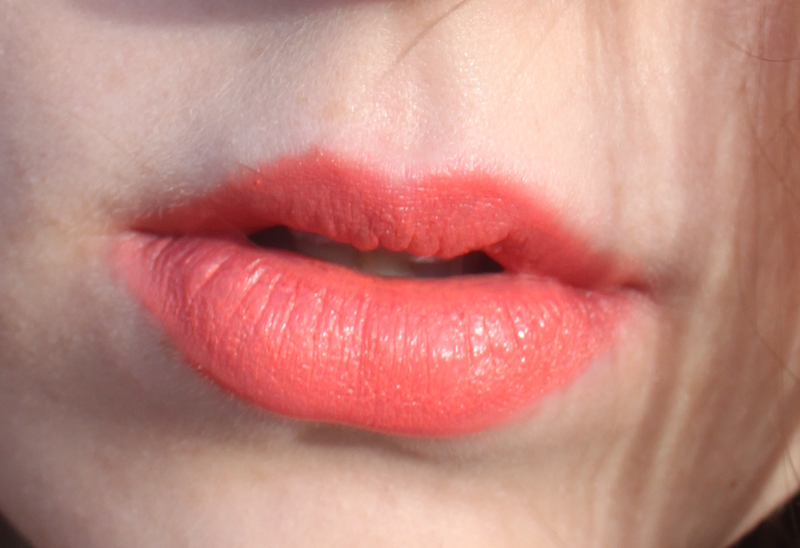 I will be wearing this gorgeous shade a lot, I can promise you! 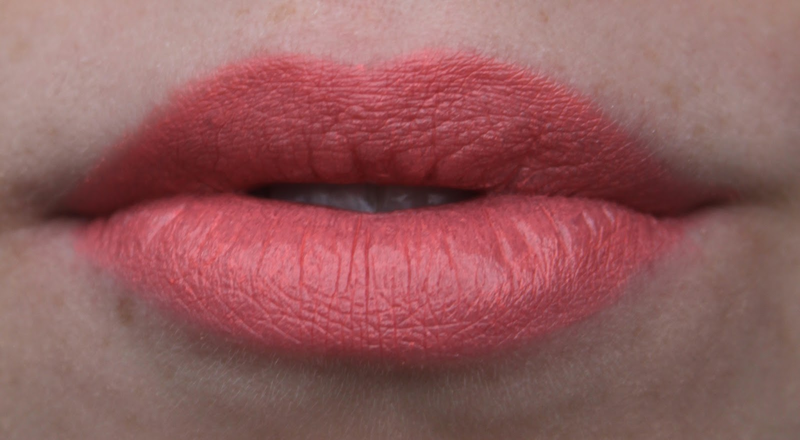 This shade is gorgeous. It's a very bright coral/orange. It has a perfect finish - It's opaque, it's has a slight glossy sheen to it and it's just gorgeous. the summer I can tell you! the palettes and eyeliners very soon as I promised. What is your all time MUA product? Do you like the look of these? Which one is your favourite? I love shades 3 & 16. Those are my favorites, I have to get them! I love shade 3. I currently have shades 2, 15 and 13, which I am actually doing a blog post about tomorrow! Also did you know if you turn the base, where the colour of the lipstick is, anti-clockwise there is a little pot of lipstick, so you can use that as lipliner. Shade 16 looks lovely. Not tried MUA lipsticks but such a bargain at £1! <3 MUA lipstick, they are my fave atm for only £1 each!! 15 and 16 look so amazing. I have 3 and 7 and I like them both very much. Haha! So pretty aren't they!! Thank you for your share! <3 love it! I've decided to buy shade number 16 after read your post. thank you!